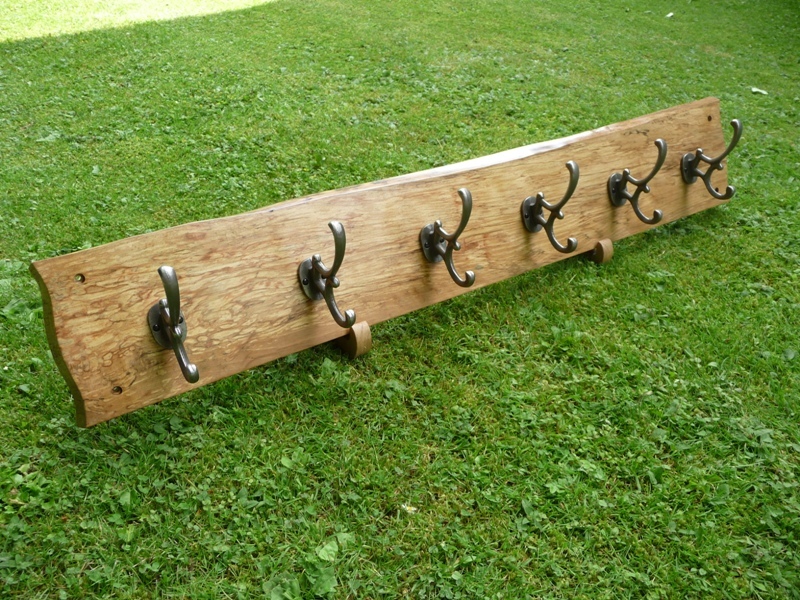 Customer: Previously sold coat rack (SH0178) measuring 137cm is perfect but too long. Can you make a copy 110cm in length? 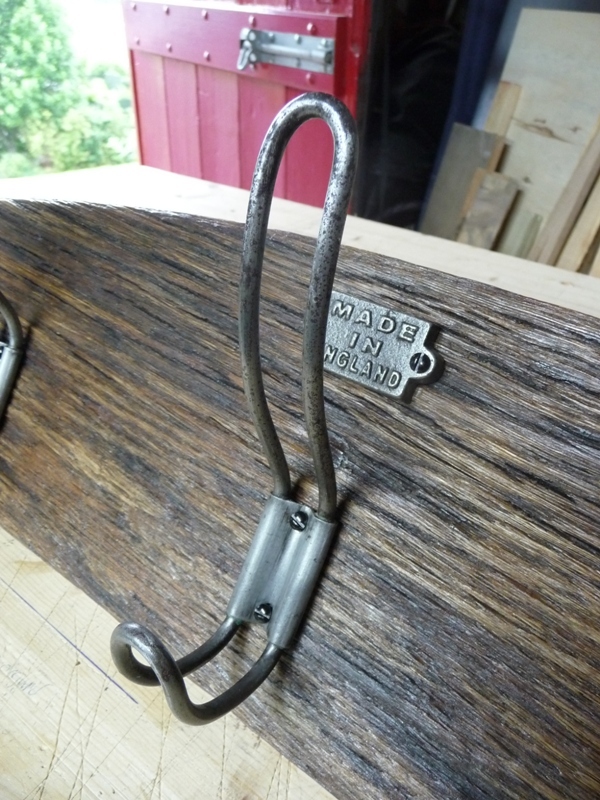 Hooked on Hooks: Consider it done! 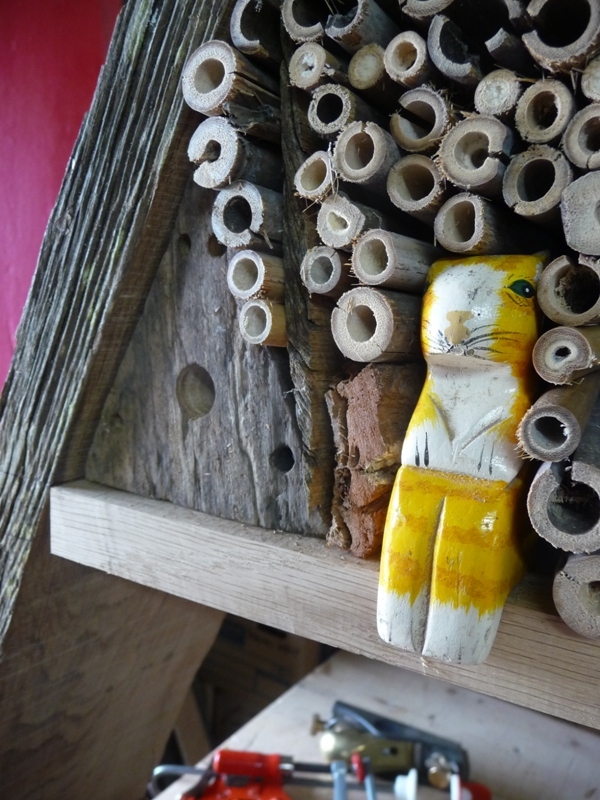 …when it’s a Bug Hotel, of course! 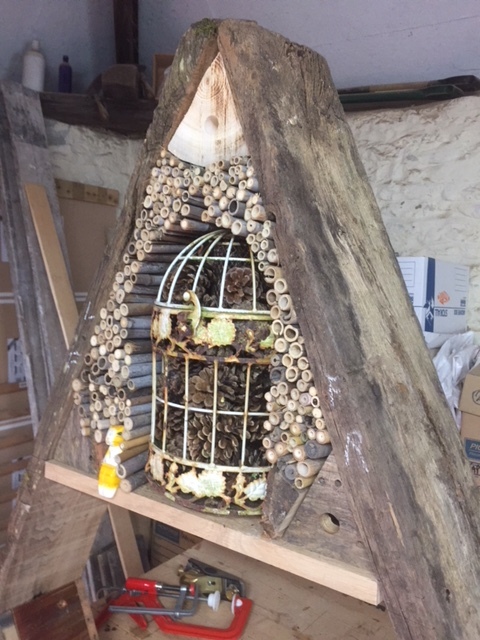 In the making is this nice little man-made habitat for all and any spiders, wood lice, earwigs and creepy-crawlies in general that care to take up residence. 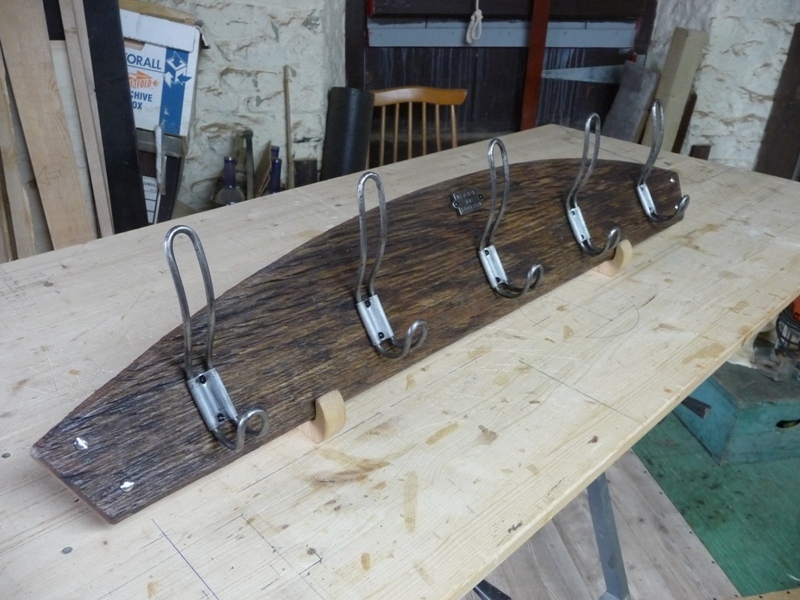 Made from an old oak gate post that I managed to rip down into three hefty planks, the infilled sections include separate compartments for anything that cares to check in. 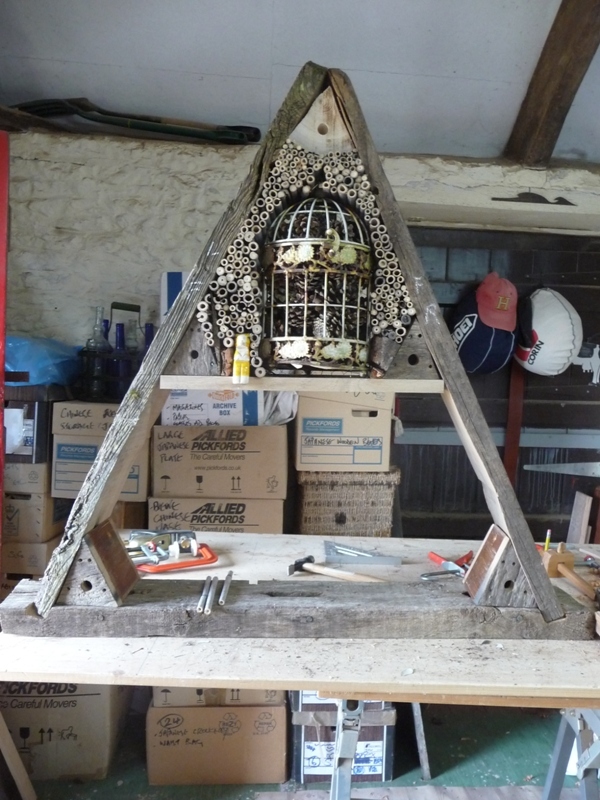 This particular Bug Hotel tips the scales at about three tons but on the cards are much smaller and lighter versions that could be shipped. 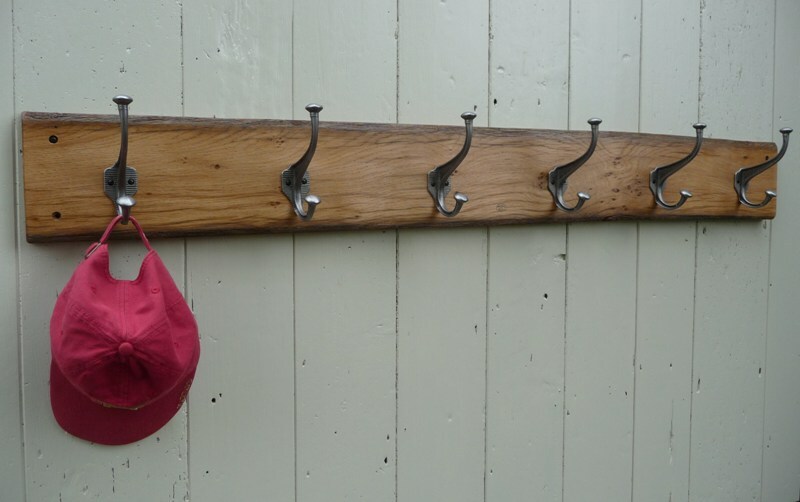 Fresh from Hooked on Hooks is this unique hat & coat rack that I was tempted to call The John Wayne but snapped out of it at the last moment. Unashamedly cribbed from a scene in a 1950s John Wayne classic western, the shape of the plinth mirrors the headboard in a bed occupied by a woman about to give birth. (Perhaps I should have named it after the baby? Perhaps I should just has stolen the design and kept mum about its origins?). Anyway – am I babbling? 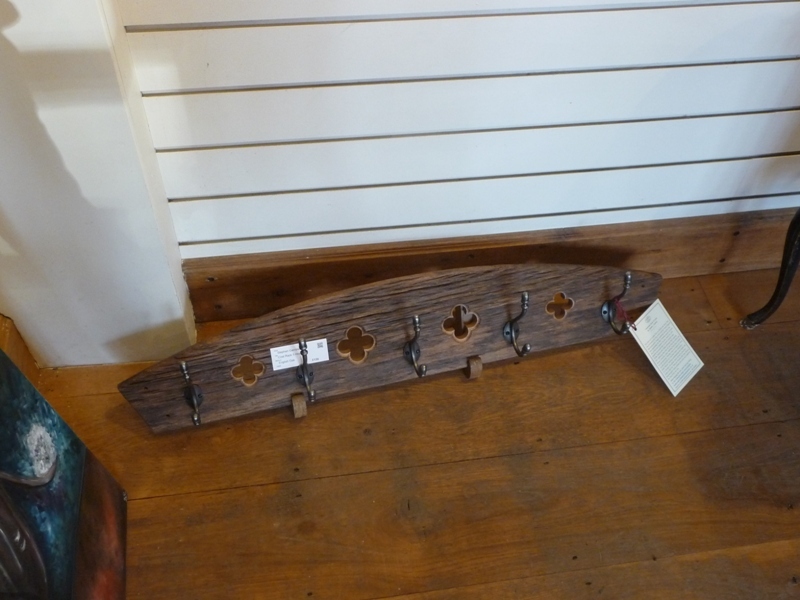 – I can guarantee one thing, there isn’t another coat rack on the planet with this design, never mind the wood, which is 300-year-old English oak. 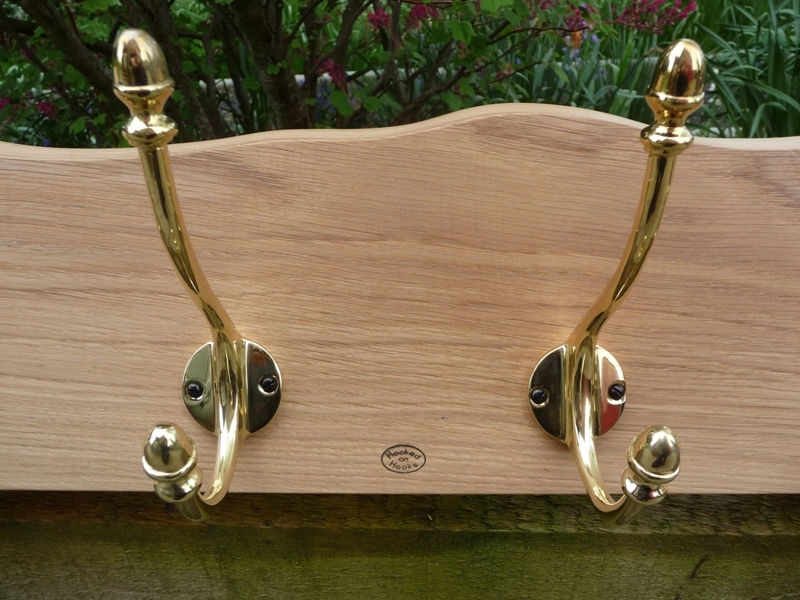 Now residing on wall in Plymouth is this elegant hat & coat rack from Hooked on Hooks. 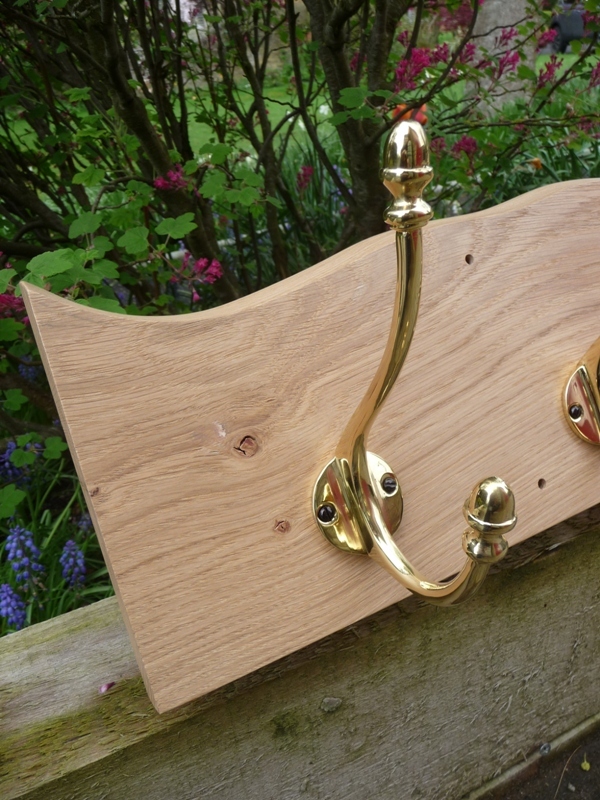 If you like this coat rack but it is too big, too small, the wrong colour or wood, contact me – Steve Gamblin at hello@hookedonhooks.co.uk – to discuss making this or any other design coat rack to your exact requirements. 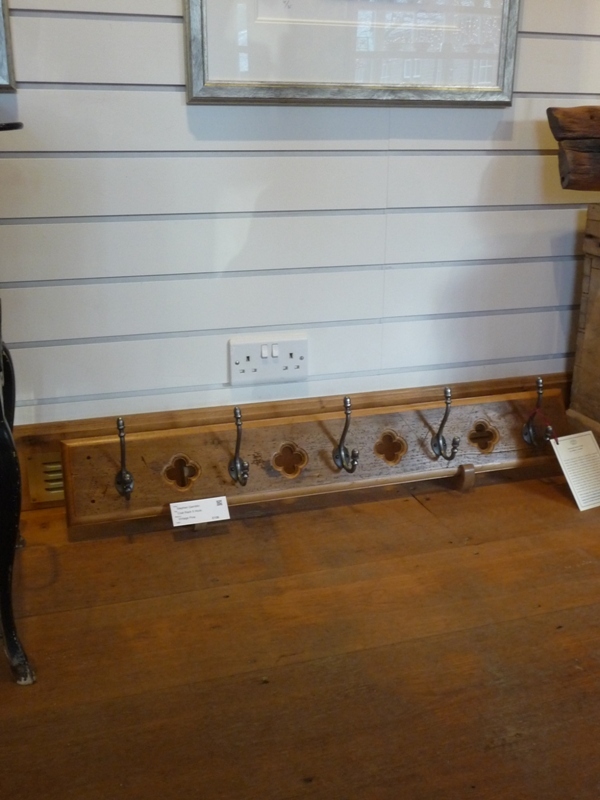 I’ve been in art galleries far and wide, from Auckland and Sydney, to Paris and Bruges, Tokyo and Seoul, but I’ve never once encountered a coat rack – never mind three! 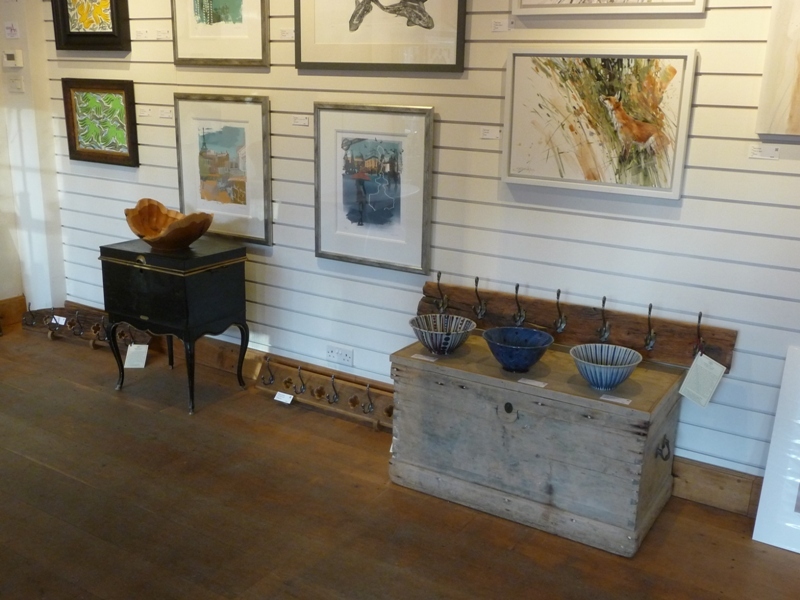 But if there’s a secret to selling coat racks in a gallery, it’s probably this: no one goes to a gallery looking for a coat rack. All are love-at-first sight, spontaneous buys. 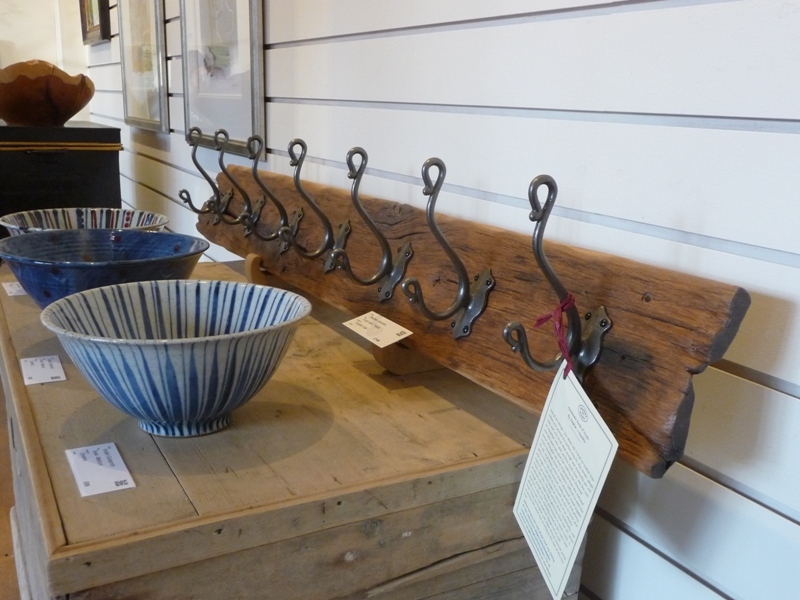 Featured here are three Hooked on Hooks’ coat racks currently offered for sale in The Gallery at the National Trust’s Stourhead Estate in Wiltshire. Available for purchase at The Gallery, or if you are not in the Stourhead area contact me first for online purchase and immediate dispatch by courier. 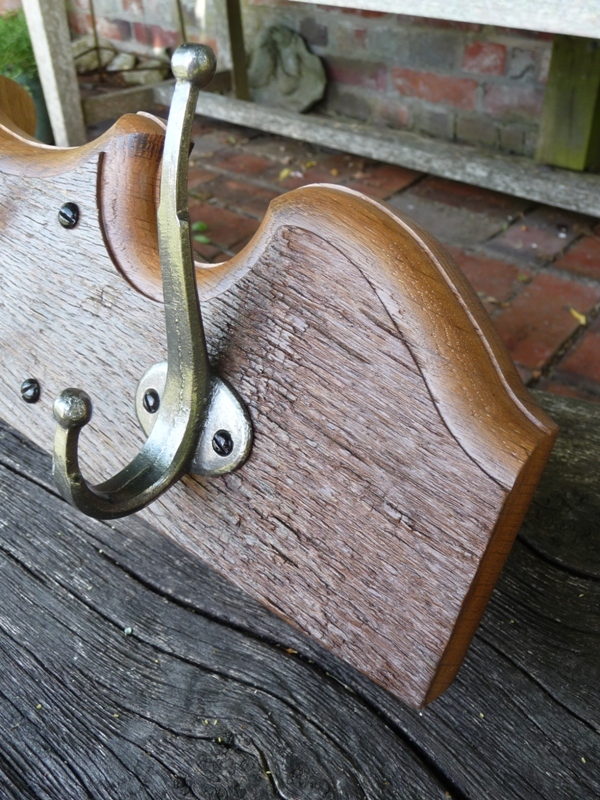 This distinctive vintage-look coat rack from Hooked on Hooks features original wire school hat & hooks on a sumptuous section of weathered oak. 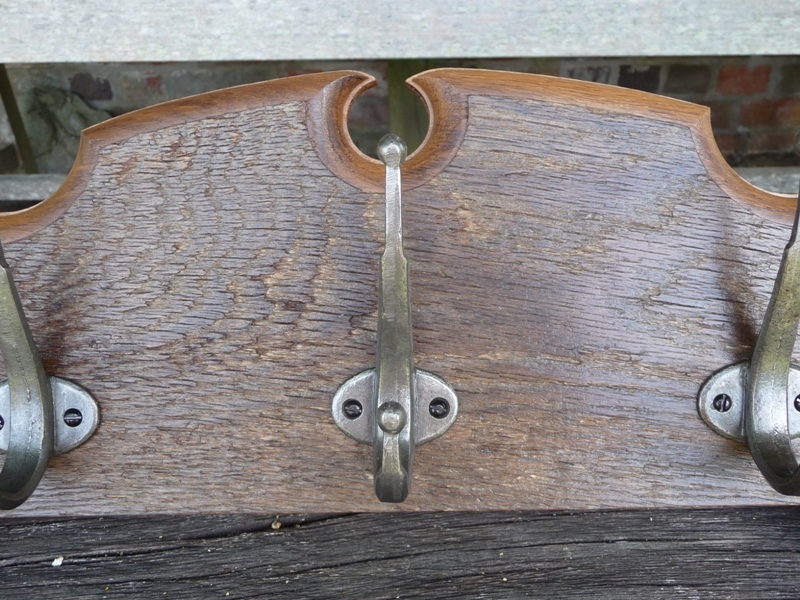 Laboriously restored from beneath stubborn layers of sixties rust and chipped paint, who would have believed that these utilitarian school staples would one day turn into highly sort after collectables? 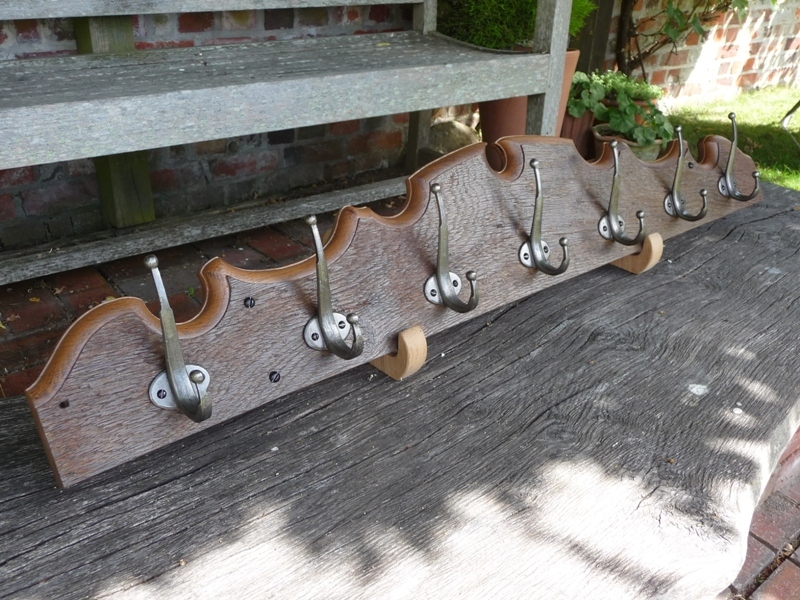 Perfect for any setting – contemporary or traditional – this is the second of only two similar but not identical racks ever produced. Dimensions: Length of plinth: 101cm. Width: 17.5cm (max). 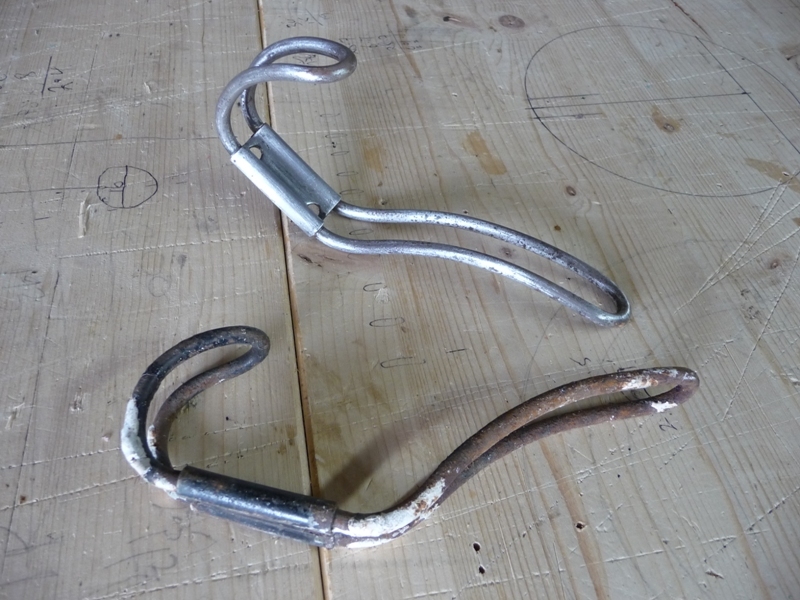 Hooks: Height: 17.5cm. Protrusion: 8cm. 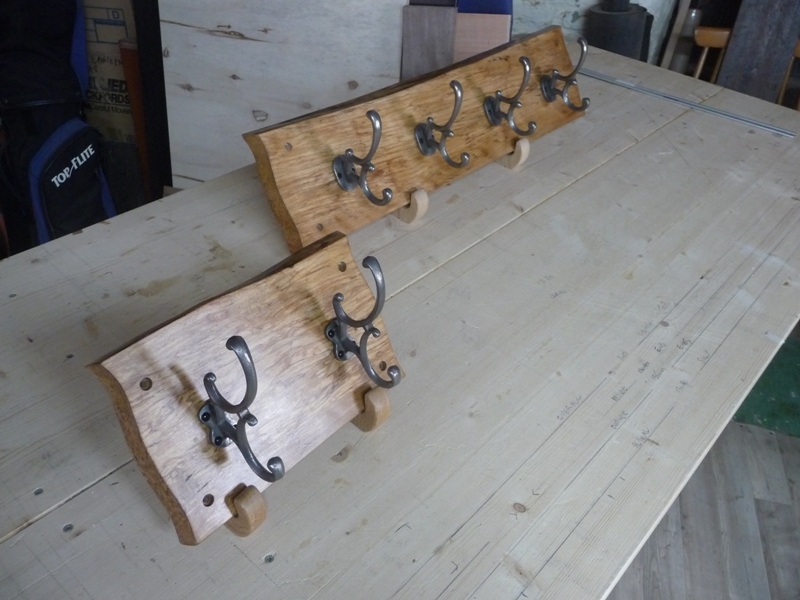 …I will turn one coat rack into two! Moving house is never cheap and one of the reasons is because things like curtains, carpets and yes, coat racks, don’t always fit into their new home. 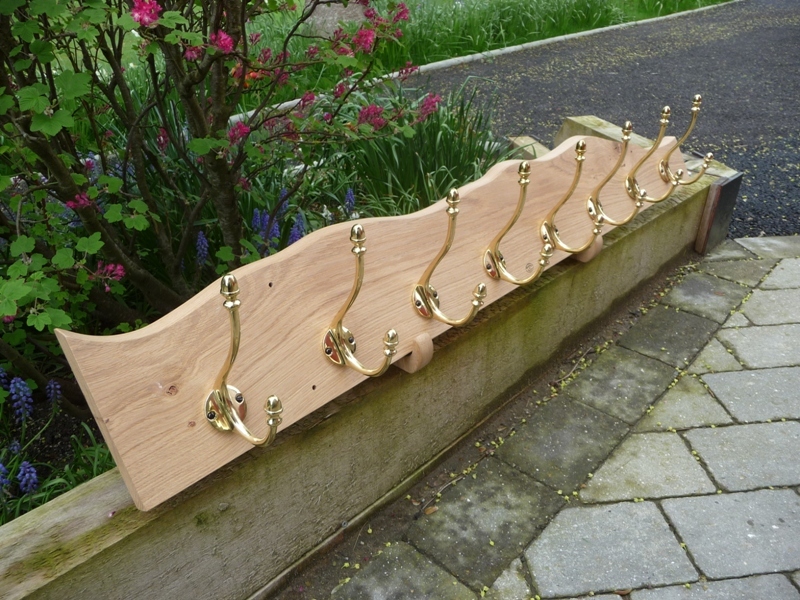 Solution: Turn one large coat rack into two smaller racks (See pictures!). 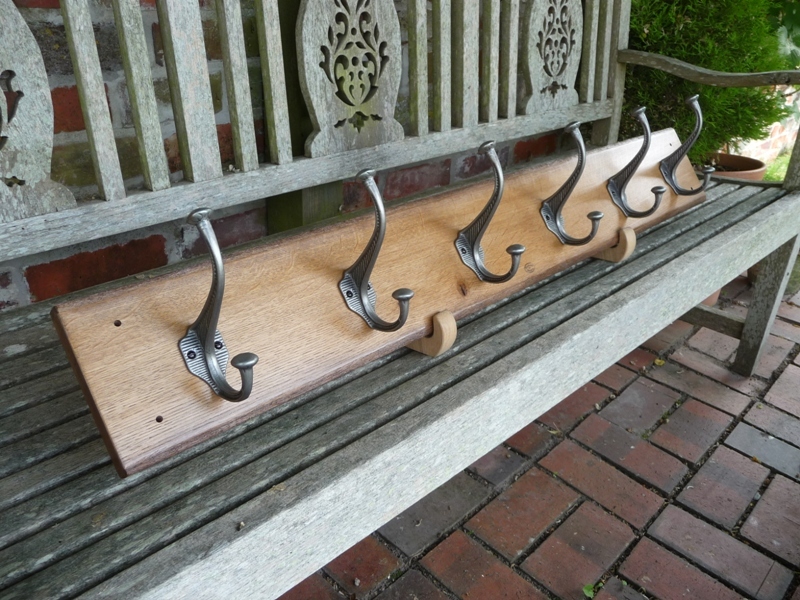 If, like this particular customer you find yourself with a Hooked on Hooks’ coat rack that won’t fit into a new place, contact me and I’ll do my best to convert it into two racks.